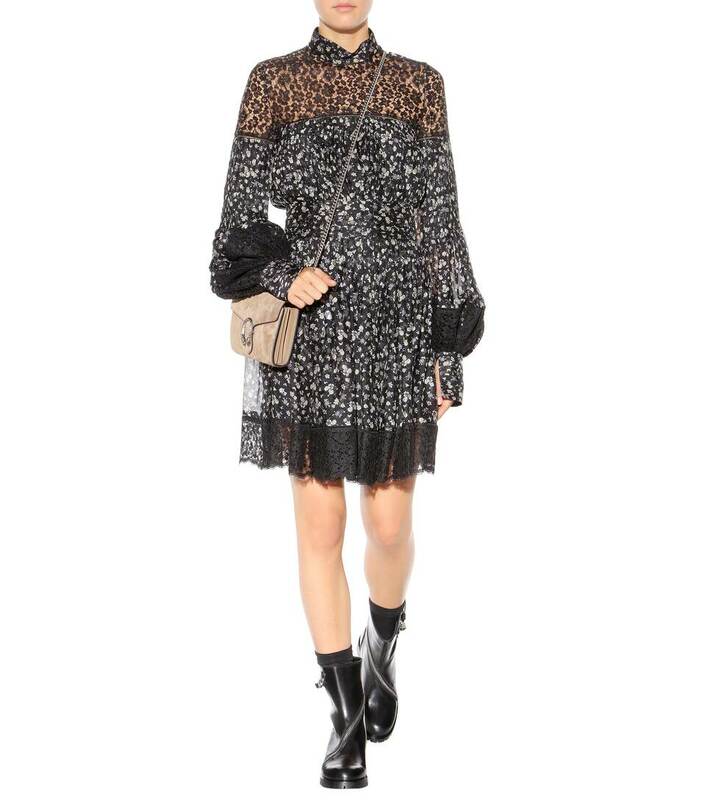 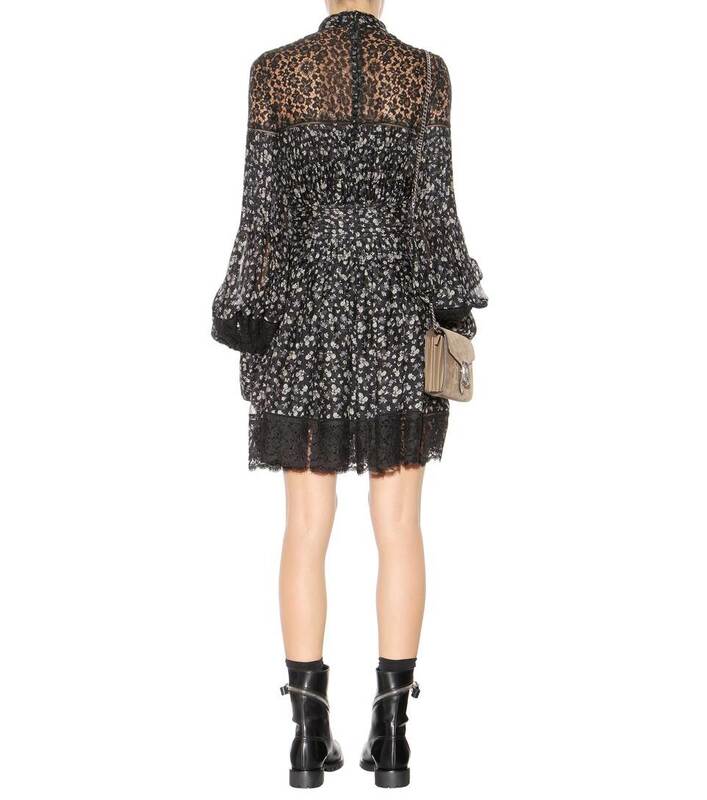 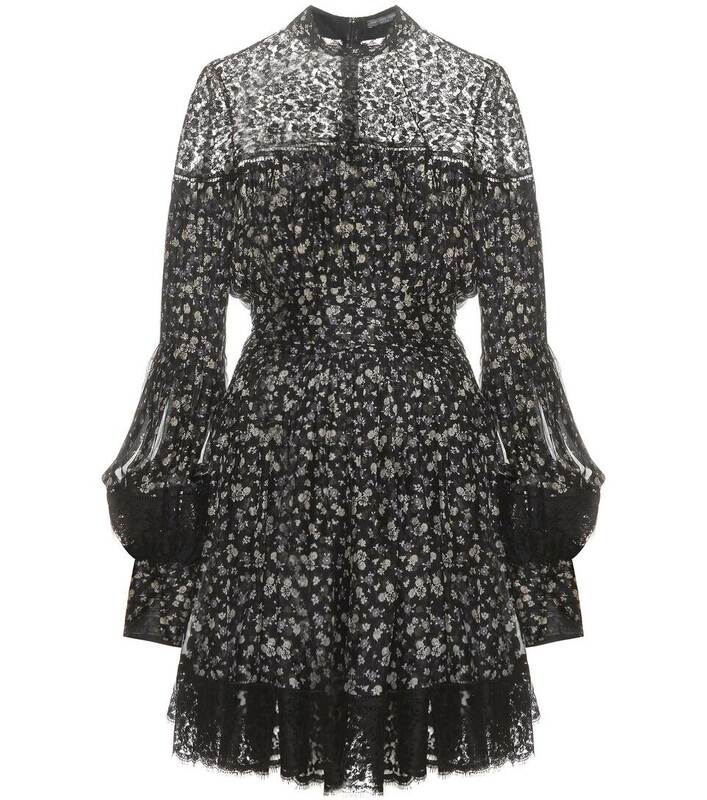 Alexander McQueen shows its feminine side with this dress. 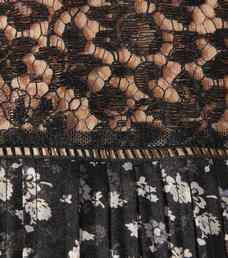 Boasting a floral pattern, delicate lace trims and dainty pleats around the waist, this silk piece expresses softness with a dark edge. It features a sheer lace yoke and is cinched at the waist for an hourglass silhouette. 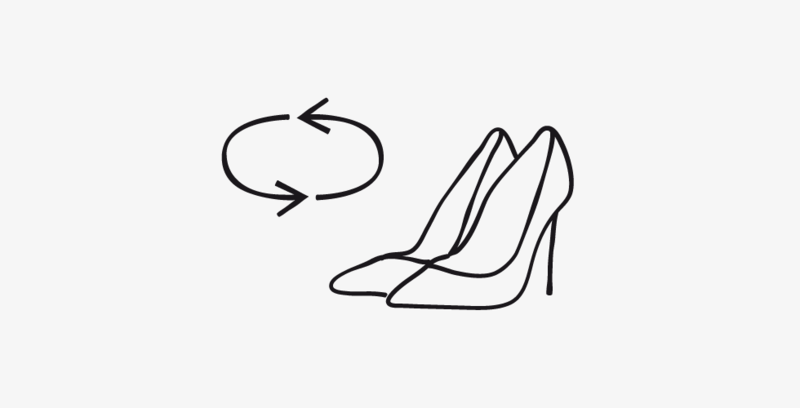 Wear with ankle boots for an alluring edge.